Mandesh brings extensive consumer products experience to Pure Sunfarms, leading the team as President and CEO. His mandate is to establish Pure Sunfarms as the leading choice for consumers when it comes to trusted quality cannabis. As a seasoned senior level executive, Mandesh has led business operations for a number of well-known retailers, including LCBO, Target Canada, Aritzia and Loblaws. Most recently, Mandesh joined Pure Sunfarms from Liquor Control Board of Ontario (LCBO) as a Senior Vice President, Supply Chain and Wholesale where he led LCBO’s supply chain division, and developed and managed its supply chain and wholesale strategy as the the LCBO prepared for the legalization of adult-use cannabis. Mandesh is well versed in proven successes in managing supply chains at scale and developing key business strategies across a diverse set of industries. Mandesh is committed to leveraging best-in-class operational practices to lead Pure Sunfarms to success, and strives to create a work culture true to his values of humility, empathy and teamwork. He holds a Bachelor of Science in Industrial Engineering from University of Toronto. In addition to his responsibilities at Pure Sunfarms, Mandesh also serves on the Board of Directors for NLS, Canada’s leading logistics provider for fashion, footwear, action wear and general merchandise. A strategic operational leader with diverse industry experience, Mandesh is passionate about culture and creating a space for leading practices in an evolving industry. Elaine joins Pure Sunfarms with over 14 years of experience working for a variety of industries, from technology and digital to retail. A devoted HR professional, Elaine has held significant roles at organizations such as Finning International, Hootsuite, Aritzia, Quiksilver/Roxy and Electronic Arts. She has been instrumental in all areas, including setting the strategy, hiring the best people, creating the culture and driving accountability and performance. Her creativity, approach and drive has helped her navigate fast-paced businesses from infancy & start up, to growth and acceleration to re-invention and transformation. In addition to her responsibilities at Pure Sunfarms, Elaine also serves as an operational member on the Board of Directors for HR Open Source, a not-for-profit global community of HR and recruiting practitioners driving innovation through collaboration. Elaine is dedicated to growing a high-performance culture, and brings extensive HR leadership experience to Pure Sunfarms. Miguel brings over 10+ years of experience to Pure Sunfarms. Throughout his career, he has been responsible for overseeing financial planning, debt financing, and budget management systems for a number of companies, including Pure Sunfarms’ parent company, Village Farms, as well as PricewaterhouseCooper. Miguel’s professional expertise adds a vital component to the Pure Sunfarms team. He is a CPA who completed the Financial Management Program with honours from BCIT. Miguel navigates the financial growth and success of Pure Sunfarms in the ever- evolving cannabis market, with over a decade of professional experience. Michael brings breadth and depth in operational expertise to Pure Sunfarms, having worked globally across a wide range of industries including consumer packaged goods, alcohol, tobacco and automotive. His experience and passions span operations – from manufacturing to supply chain with a strong dose of IT, which enable him to rapidly implement best practices and inspire teams to drive operational excellence in every decision. Having held prominent positions for a number of leading companies, including AB Inbev, PwC, Honda and GM, Michael’s supply chain and operations knowledge offer a critical perspective to build, maintain, and continuously improve on a dependable supply chain and efficient operations, as Pure Sunfarms and the cannabis industry evolves at scale. Michael brings a unique, results-driven approach to creating and optimizing all levels of Pure Sunfarms’ operations, and offers pragmatic and functional design thinking. Rob Baldwin brings over 18+ years of experience in the greenhouse industry. He has invested over a decade of his career managing the current greenhouse space where Pure Sunfarms is operational. Prior to their joint venture, Rob worked for parent company Village Farms as Facility Manager and Grower. Throughout his career, Rob has gained extensive knowledge of the land, combining the science of greenhouse growing with his intuition of natural environments. He is mentoring a new generation and skill of greenhouse growing that is unparalleled to none. Currently, Rob is responsible for all the phases of Pure Sunfarms’ cultivation and greenhouse operations. He has been instrumental in all aspects of greenhouse conversion, and continues to showcase world class growing capabilities to deliver a superior cannabis product. 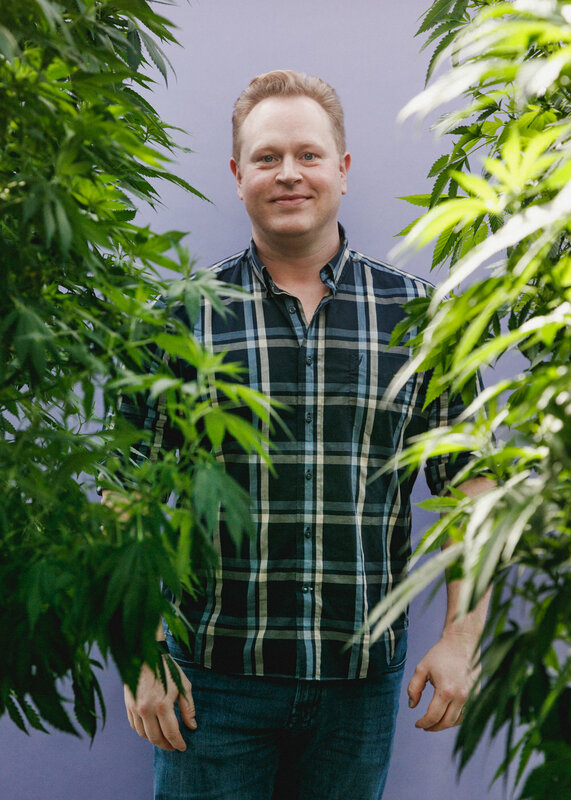 An expert greenhouse grower by trade, Rob is a key player in Pure Sunfarms’ mission, redefining what it means to grow premium cannabis. Director & CEO, Village Farms International, Inc.
Director & CFO, Village Farms International, Inc.
Director, Village Farms International, Inc.